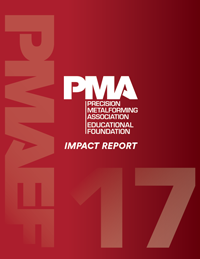 Thank you for your interest in the Precision Metalforming Association’s Educational Foundation District grants. Please be advised that we are in the process of reviewing and updating our guidelines and processes. Grants applications for 2019 are not currently being accepted. We expect to re-open the process in the coming months. We invite you to check back with us soon.